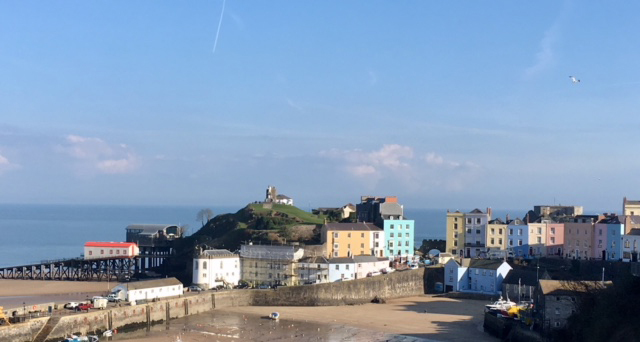 Here is a sneak preview – a new poem which captures the delights of Tenby – a jewel on the Pembrokeshire coast. Picture times when trades were made; the bustling of the mouse. Experience the sights and sounds whilst undulating down. Then venture onto golden sands behind you, colours bright. Each turn reveals a spectacle in yellow or aquamarine. And Tenby’s charm and beauty imprints memories to last. Throughout the pages of my latest poetry collection, I am sharing my own encounters with British traditions, landmarks or places which leave an imprint. As a child, I have fond memories of family holidays to Pembrokeshire coast. Like a magnet, this stunning area of outstanding beauty draws me back year after year. This poem therefore has earned its rightful place amongst the pages of The very Great Britain in Poetry. Due to be released very soon, and I am so excited to share this with you. This entry was posted in Coming Soon, Poems, Poetry Books, The Very Great Britain in Poetry and tagged Anita Williams poem, british poetry, great britain, Pembrokeshire poem, Poem about Tenby, Poetry about Wales, poetry collection, Tenby, Tenby poetry, The Very Great Britain in Poetry, Welsh Poem by Writtenwithasmile. Bookmark the permalink.